Though I bounce between many modern and vintage DEs, my go-to razor has to be my Merkur Progress varieties. Meanwhile, I'm awaiting arrival of my own Rockwell 6S from Phil and wanted your input. I typically shave with my Digress (left photo) or Mergress (right photo) at 3.5 or 4 so for anyone who has used both, what 6S base plate would be in the ballpark? Of course, good 'ol experimentation will come - just killing time before arrival of my newest toy. Have a great weekend! Start at 4, then compare it to 5. Thanks, Ron. I'll report back. (02-24-2017, 03:42 PM)lloydrm Wrote: Isn't yours a Digress? The digress is so pretty. What's the one in the pic above? Looks awesome. According to the Above The Tie chart, the Merkur Progress blade gap on 3 is .71mm and on 4 is .84mm. The Rockwell 6S with the 6 plate is at .79mm. I use my Rockwell with #6. I don't find it too aggressive, or aggressive enough. Wouldn't you say that gap is only one variable in the formula, where exposure is one of the other and the combination of it all is what makes or breaks a razor? One shave is plenty for you to determine which plate is for you. (02-24-2017, 09:40 PM)Michael P Wrote: According to the Above The Tie chart, the Merkur Progress blade gap on 3 is .71mm and on 4 is .84mm. Just received mine. Actually, No. 6 is noted in the instructions as 1.12mm so I'll start lower. 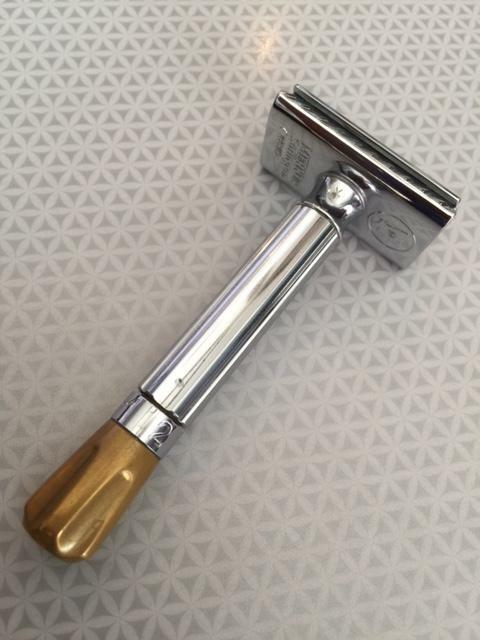 Beautiful razor, solid as a rock! That's odd...maybe the good people at Rockwell can send you one? Definitely! There are many variables. (02-25-2017, 10:11 AM)TexBilly Wrote: Just received mine. Actually, No. 6 is noted in the instructions as 1.12mm so I'll start lower. 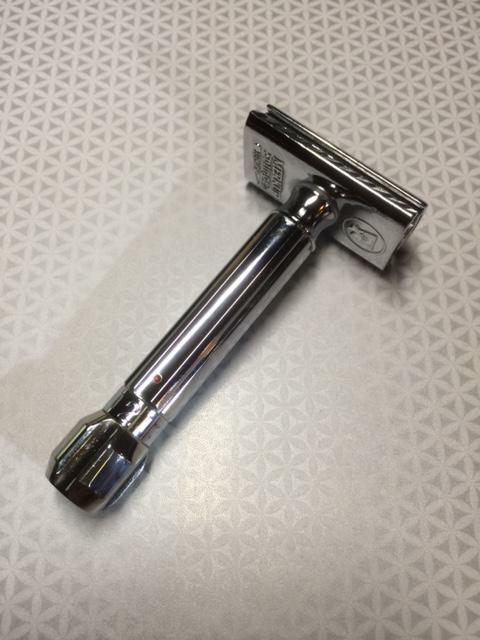 Beautiful razor, solid as a rock! Online would be more than enough...!!! 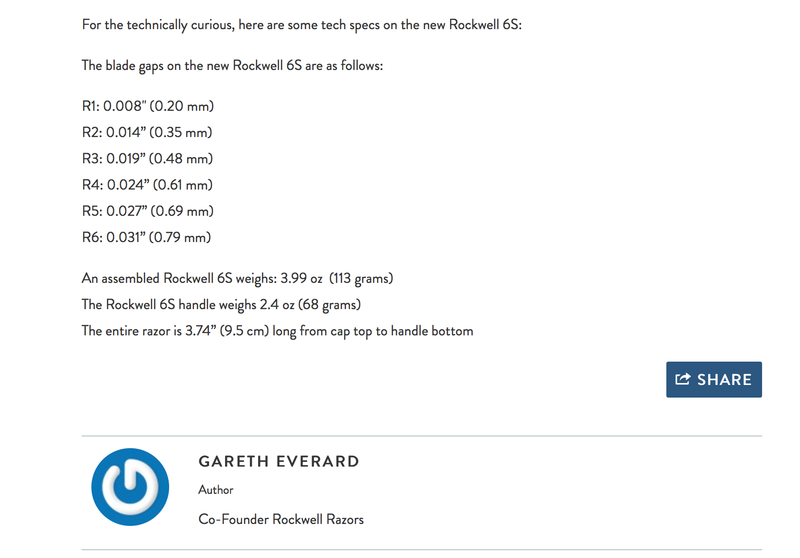 TexBilly, perhaps those were outdated instructions they sent or you have the original version of the 6S-this is from the Rockwell Razor website on the page discussing the difference between the original version of the 6S vs. the current version. Either way, enjoy your shaves! Michael, where did you get the above? 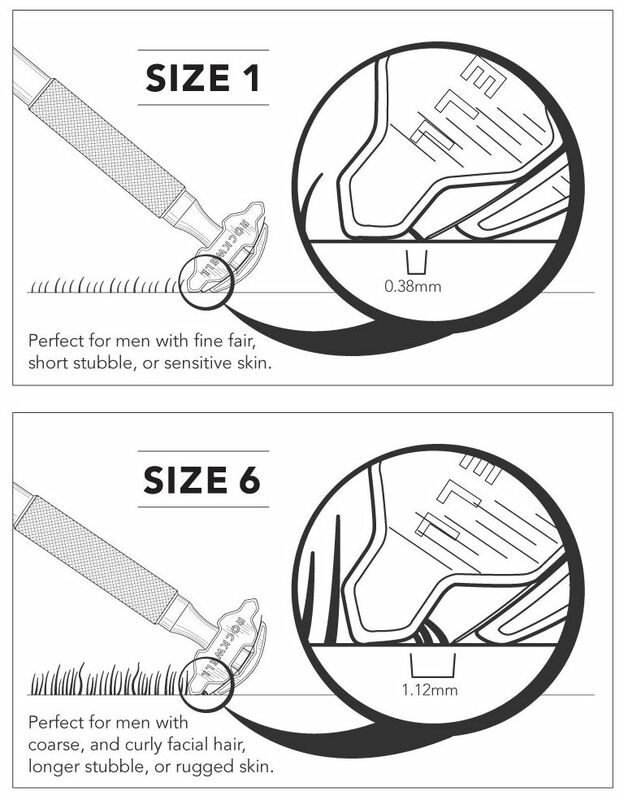 I just went to the Rockwell website and under the Rockwell 6S tab, found the following, which is identical to the instructions included with my razor. The blade gap shown here seems consistent with what I found with my first shave yesterday. I used #4 and it was definitely more aggressive than my Digress at 4, and in a good way. Could it be the other way around and the gaps have been increased? No matter what, I fine razor! EDIT: After re-reading the above, I noticed it does say "new Rockwell 6S" so either that was from the original release or... maybe mine's older stock - fine with me! Billy-wow, I never noticed that! Mantic59 talks about how the Rockwell changed from v1 to v2, and gives the numbers from the chart I posted as the blade gaps. I've also seen some comments on various fora mentioning that the blade gaps were reduced from v1 to v2. But then there are those numbers in the diagrams you posted! Maybe a Rockwell expert can help us with this. Bottom line: as you say, once one gets the base(s) one likes dialed in and gets a really good shave, that's all that counts. The more aggressive blade gaps were for the version 1. When Gareth released the version 2, he reduced the blade gaps. That's why there are 2 different versions, and the smaller one is the current version. (02-24-2017, 08:56 PM)snowman Wrote: What's the one in the pic above? Looks awesome. (02-27-2017, 02:31 AM)Korbz Wrote: The more aggressive blade gaps were for the version 1. When Gareth released the version 2, he reduced the blade gaps. That's why there are 2 different versions, and the smaller one is the current version. Thanks...I suppose some web cleanup is in order. If this was the evolution, I'm doubly glad I got the original version.